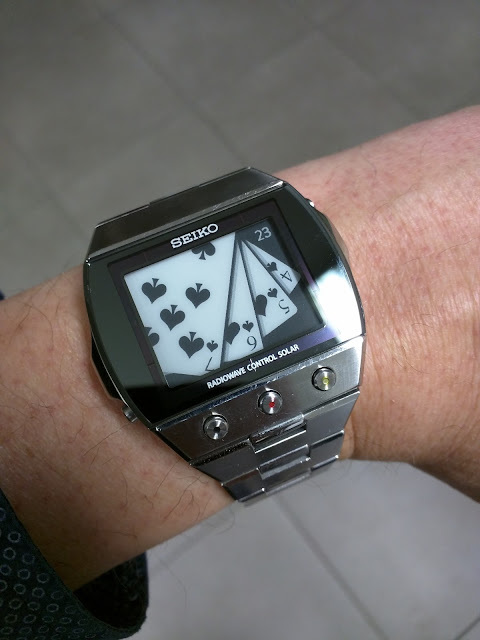 I just bought a seiko SDGA watch...sold as needed to recharge. It's boxed with buy certificat included 12/07/12. So i had it lying in the sun outside for almost 2 days but still nothing on the screen. Could it take so long , so i phoned Seiko Europe and they said that they don't service them in europe..so they have to sent it to Japan..6 to 8 weeks without knowing what it would cost to repair. Has someone opened one up? i would do it myself but i think i would break my knife to do it. What shall i do...try it myself or sent it to Japan?? Its good that you found the link. Hope that the new battery will fix the problem. Standby getting my Star Wars back this week from seiko. Bad capacitor, no charge repair. Just landed from Beijing and on way home. Bought mine in 2012 so covered under standard five year warranty! Thx Geoff good to know...i only have a 2 year warranty here. My correction, also two year warranty but Seiko did not charge for the repair which surprised the Seiko Canada dealer. The solar panel has a super capacitor between it and the lithium ion rechargeable battery, maybe a filter to regulate the charge to the battery. In my case the dealer was able to replace the battery, but found the circuit had failed at the capacitor. This warranted a shipping to Tokyo for the charging circuit replacement. Apparently the fault was considered under warranty. Mine never charged past one bar and rarely enough to light the LEDs. So I may be that your battery was the fault. It may be the circuit but you will see if the watch charges to three bars. Mine is in transit form Toronto having been returned from Tokyo. P.S. 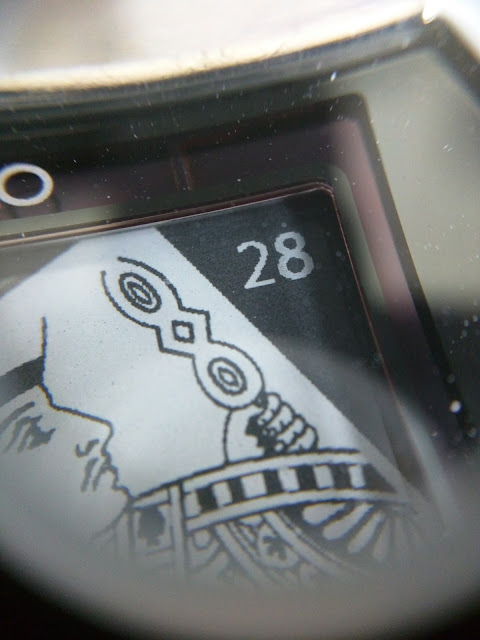 My Heuer Chronosplit has been outfitted with a RAWSAR module. I refinished the case and pushers and Neil has worked his magic (skill). Saw a picture of it working, looking forward to it to! I can't say for Seiko. 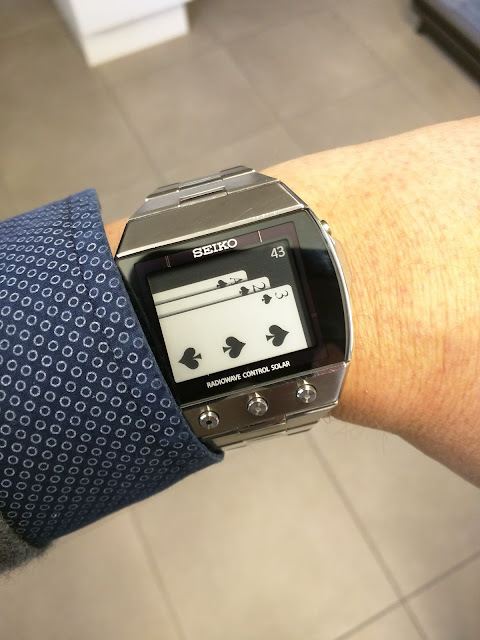 But Casio has their ups and downs with the CTL1616. In recent years they are decently reliable. 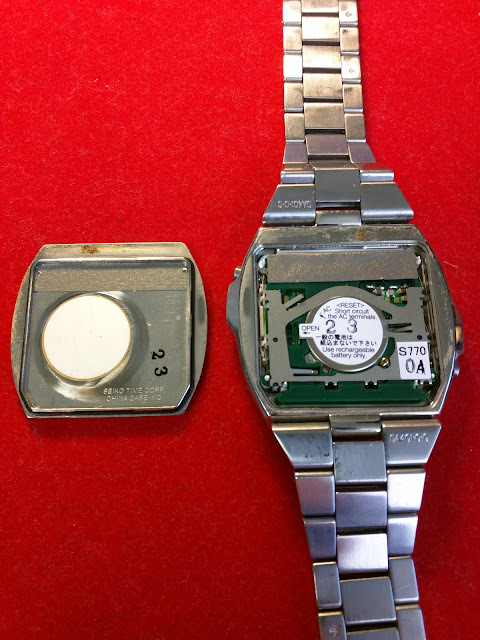 I did have to replace my wife's solar baby-G after 8 years because of solar cell failure. Mind you, she can care less about keep the watch charged, clean, or any of the general up keeping for that matter. I am actually surprised the watch can survive that long, even the original strap is still going strong. I bought a failed Citizen Ecodrive that wouldn't charge in the sun................left it out for days. In the end I hooked the battery/capacitor up to a standard 1.5V battery for a short while (10 minutes ?) and voila, its worked perfectly for years now. Charges up to 3 bars when left in the sun. Seems it needed a little kick-along to get the charging circuitry to work on a totally depleted cell. 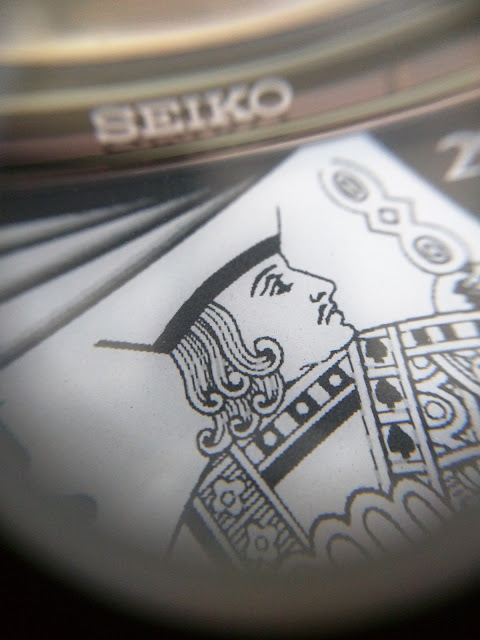 is this a general Seiko EPD watch problem? Well, how long do rechargeable lithium ion batteries survive? My capacitor was certainly a failed circuit but when I google my problem I do not see any hits. Kaspers reminded me of mine which coincidently I just sent in, after having it around 1 to at most 2 bars charged indicated, I sent in. A battery swap did not result in a renewed charging circuit (ie a bad battery) so off to Japan. On the wrist and working and synching with WWVB in Fort Collins, Colorado. I am in Vancouver b.c. Looking good with a new battery, now i have to wait and see if the charging works. 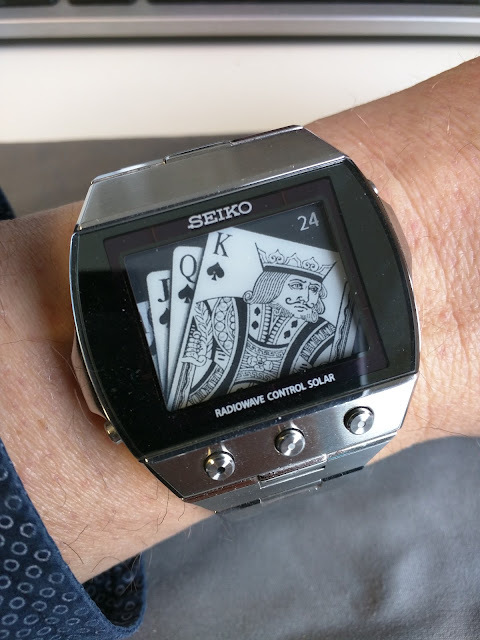 Great watch sofar...super screen with cool ledlight. I regret not buying oneof the EPD watches. That is so cool. Now I want one. I think I'm getting hooked on digital after all these years of analog. where could you buy one at a reasonable price? You guys had this problem too?? 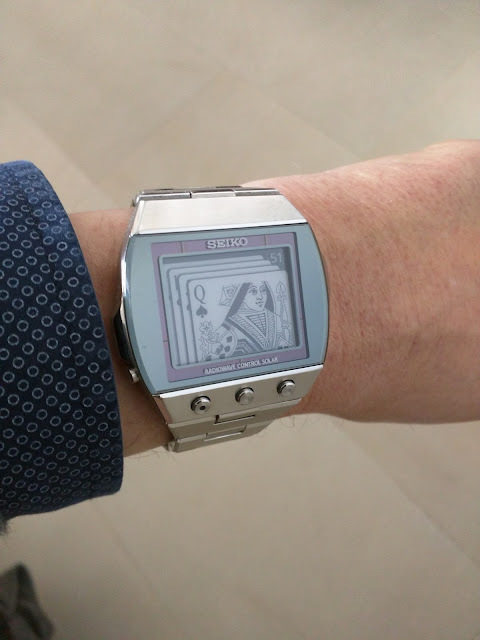 My Seiko Lupin the 3rd just stopped charging up, after about 4 years, went dead with the blank screen one day and never came back alive when placed in the sun. Seiko says when placed in the sun it should come alive within 10 minutes. 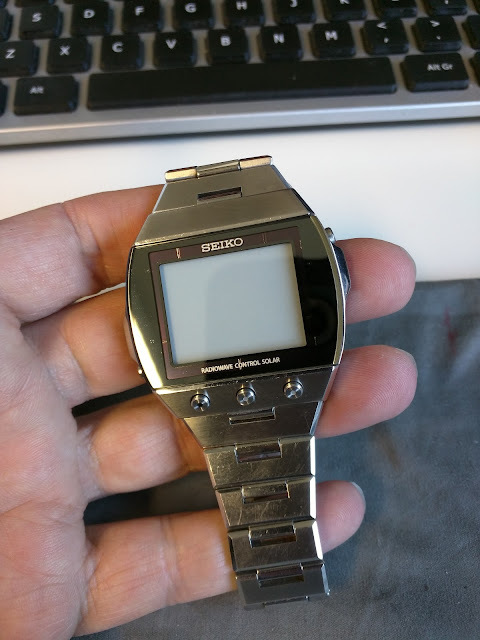 So it was sent to Seiko Japan in January, and was repaired without charging me for a repair. They said the solar panel was the problem and it was replaced with a new higher efficiency model. The watch comes alive under much lower light levels I've noticed and keeps full charge so far with no other problems. Bad capacitor in charge circuit. All three are sections of the charge circuit. Mine is at 100% charge now at all times, syncs every night in Vancouver Canada to WWVB at 2am. They replaced the charge circuit block which contains all three of the above items. Great! have there been new EPD models in 2016? ronaldheld wrote: have there been new EPD models in 2016? Too bad. I have not seen any on EB** for a while. 767Geoff wrote: Well, how long do rechargeable lithium ion batteries survive? My capacitor was certainly a failed circuit but when I google my problem I do not see any hits. If you don't deep-discharge them, Li-Ion can live almost forever. My oldest Li-Ion is in a small LED-flashlight I purchased in 2005. I recharge it every 2-3 months. The cell still has over 90% of original capacity.